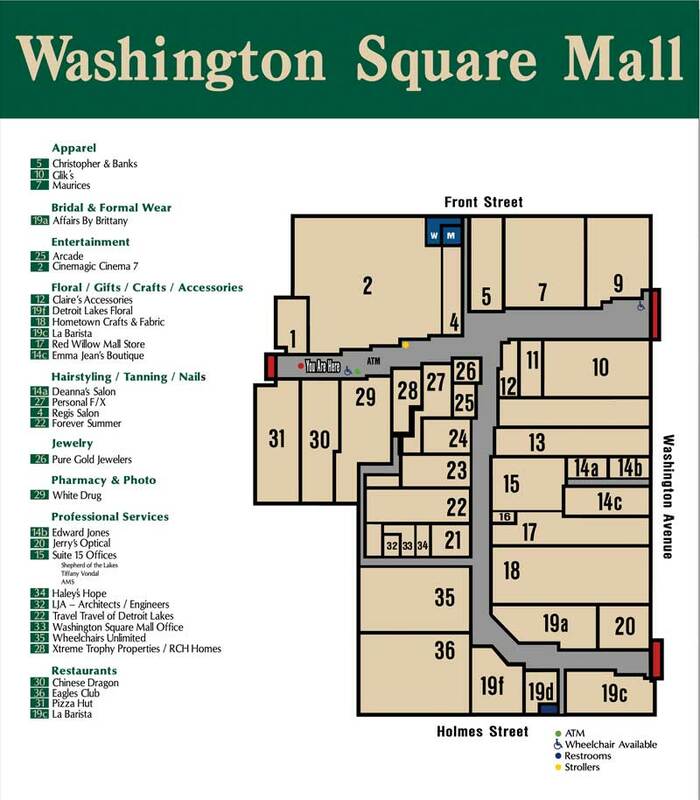 You will find 30 different businesses at Washington Square Mall. Whether you’re shopping for yourself, a family member, or someone special, we have everything you need for a successful shopping experience. There’s even a movie theater if you’re looking for a little extra fun during the week! Review the store directory below for details on our vendors. Don’t miss out – visit us in Detroit Lakes today. If you have any questions, contact us!